Situated on a quiet, private lane in Villanova, Lower Merion Twp, you'll find this stately, breathtaking stone mansion. 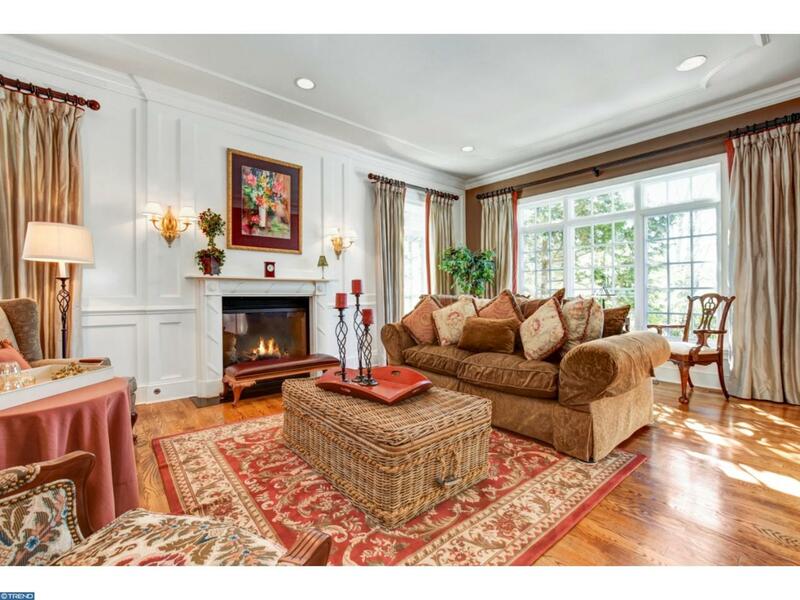 Built in 2005, this 6 Bdrm/7.2 Bath home has every modern amenity complete with old world charm. First impressions are everything, and the grand traverse Entrance Hall with herringbone hard wood flooring certainly lives up to that. High-end appointments such as rich custom millwork, tray ceilings and wainscoting are found throughout this special home. 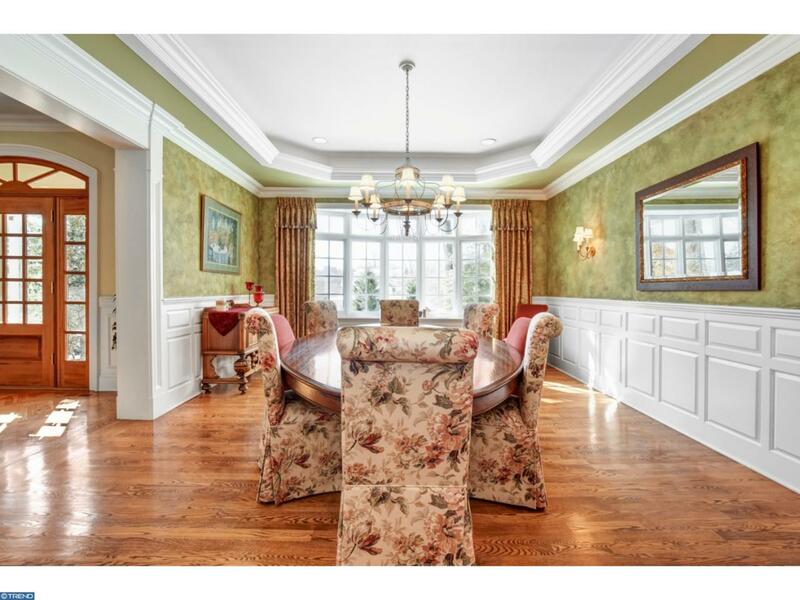 Entertain in the formal Living Room with marble surround gas fireplace, or the formal Dining Room w/ large bow window and separate serving area w/ beautiful built-in china cabinets. Escape to the handsome Library with coffered ceiling, custom built-ins and marble surround gas fp. The center island Chef's Kitchen with dramatic domed ceiling detail is filled with every convenience for the modern day cook, including 42" custom cabinetry, Subzero, Thermador Professional oven, gas cooktop & warming drawer, 2 Bosch dishwashers, walk-in pantry and so much more. The Kitchen opens into the striking Family Room with stone gas fp, and 12-ft vaulted beamed ceiling. Two Powder Rms, Wet bar, and family entry area, back stairway complete the main level. On the 2nd Fl, the magnificent Master Suite features tray ceiling, Sitting Area w/ French doors to Juliette balcony, custom outfitted dressing area w/ window seat & 2 large walk-in closets. And, it doesn't stop there?luxurious Master Bath with inlaid mosaic natural honed stone flooring, 2 custom vanities, frameless shower and separate water closet. There are 5 add'l Bedrooms, all En-Suite, all spacious with custom outfitted closets, and all uniquely their own. The Laundry Rm with Whirlpool Duet washer/dryer & laundry sink is ideally located on the 2nd floor as well. The 3rd fl offers a fun, creatively decorated Bonus Rm w/ Bath or 6th Bdrm. The icing on the cake is the fabulous Lower Level with something for everyone: Billiard Rm, wet Bar, climate controlled 400 bottle Wine Room, Rec Rm, Exercise Rm and Home Theater plus storage. On a summer night, step outside to the flagstone patio with stone fireplace and relax to the sounds of the fountain and koi pond or your favorite music on the outdoor speakers. Landscape lighting, underground sprinklers. 3 car att Garage. 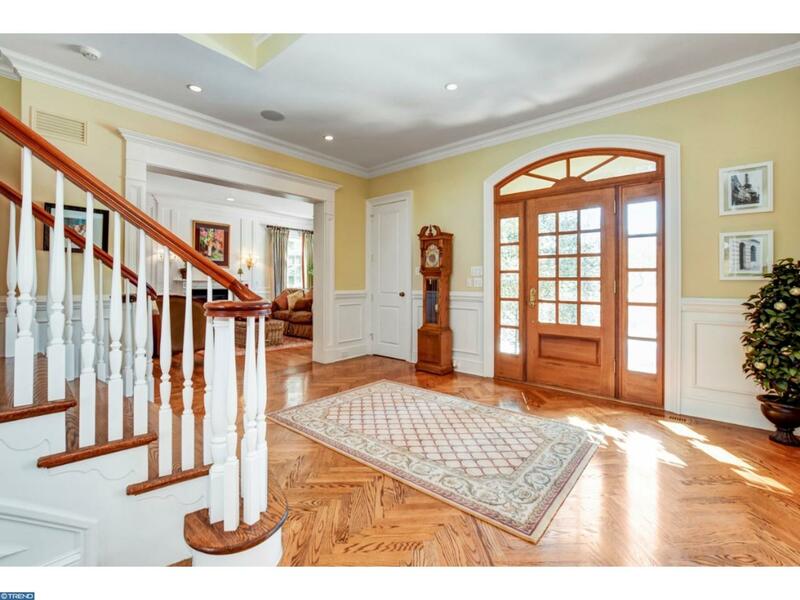 Award Winning Lower Merion Schools and minutes to the train, 76, 476, Main Line shopping and restaurants, 25 min to Center City Phila, 30th St. Station and PHL Airport. A gem!